WASHINGTON (Sept. 18, 2015) -- The Army recently named two financial institutions that operate on its installations as being the best among their peers in 2014. Out of the 31 nominees, Fort Hood National Bank, or FHNB, on Fort Hood, Texas, and the FirstLight Federal Credit Union on Fort Bliss, Texas, best met and exceeded the criteria set by the deputy assistant secretary of the Army for financial operations, or DASA(FO), to become the Army bank and credit union of the year for 2014. The Army recently named two financial institutions that operate on its installations as being the best among their peers in 2014. Out of the 31 nominees, Fort Hood National Bank on Fort Hood, Texas, and the FirstLight Federal Credit Union on Fort Bliss, Texas, best met and exceeded the criteria set by the deputy assistant secretary of the Army for financial operations to become the Army bank and credit union of the year for 2014. The Fort Hood National Bank has served the Fort Hood community for more than 50 years. Col. Matthew G. Elledge, garrison commander at Fort Hood, nominated FHNB for this honor. Providing free financial counseling to Soldiers was one of the criteria for the award. While all banks and credit unions operating on Army installations are required by their operating agreement to provide financial education, at no cost, to Soldiers and family members, FHNB provided exceptional education programs. In 2014, FHNB provided personal financial assessments to 864 Soldiers on the Texas installation. As part of the assessments, Soldiers, civilians and Family members scheduled an appointment with an FHNB representative to have their bank statements, leave and earning statement, or LES, credit reports and other supporting financial documents analyzed. Such reviews provided Soldiers with recommendations and budget plans that, if instituted, enabled them to maintain their financial credibility. The bank also provided four quarterly classes to 105 Department of the Army civilians called the Fort Hood Civilian Leadership Development Program. That class, asked for by the command, was developed as a three-hour course on banking and financial education. The class, taught by senior FHNB bank officers, provided new supervisors, team leaders and other employees with, among other things, instruction on how to identify fraud and counterfeiting. The course also included a two-hour financial literacy presentation. Ron Taylor, who served as senior vice president of the bank until Sept. 1, personally received the award, which named his financial institution as the best bank on an Army installation. Taylor passed away shortly after accepting the award. He had been with the bank since 1999. At the time of the award, Taylor said serving Soldiers and Families is at the center of what FHNB is about. "At Fort Hood National Bank, we take great pride in facilitating the financial needs of Soldiers and their Families, as well as Department of the Army civilians," Taylor said. "And what we do every year is look for new ways to help Soldiers and their Families." Stephen J. Lepper, president and chief executive officer of the Association of Military Banks of America, said FHNB is known as a bank with strong ties to the community. "They are active not only in financial education but also in other facets of the base, including community activities, community events; they support the Families that are left behind when their Soldiers deploy," Lepper said. "They are part of the fabric of the community. They have spent a lot of time and effort becoming part of the Fort Hood community, educating the troops of Fort Hood about financial responsibility, and really becoming part of the Fort Hood Family. They have done it so effectively, they have won bank of the year." The FHNB has six banking centers located on Fort Hood, services about 30,970 checking accounts, and in 2014, provided financial education to about 47,264 Soldiers and Family members. Just 500 miles west, where Texas, New Mexico and Mexico meet, another financial institution, the FirstLight Federal Credit Union, was named best credit union on an Army installation for 2014 under the DASA(FO)'s program. Col. Michael J. Hester, garrison commander on Fort Bliss, nominated the credit union for this honor. Among the accomplishments of FirstLight Federal Credit Union was its work to combat predatory lending practices. One such example was called the "Pawnshop Buster Loan," which is a short-term loan developed exclusively for protection of military members and their Families in emergency situations. The loan protected borrowers from being gouged by pawnshops and payday loan facilities that may have incredibly high interest rates. Another example of how FLFCU combated predatory lending was with its "Military Turnkey Auto Program." That program was geared toward service members with little or no credit, and helped Soldiers save money on monthly auto payments by providing qualified individuals a lower interest rate. Karl Murphy, president of First Light Federal Credit Union on Fort Bliss, Texas, said the financial education that FLFCU provides on Fort Bliss is a critical part of their mission. "The biggest cause of challenges for an individual, even in a Family, is finances," Murphy said. "If we can educate them and help them, it makes them a better member and they will continue to use us. And when Soldiers get deployed or are out of the area, they are concerned about their Family. They are there with battle buddies and Soldiers, but their concern is at home with their Family - are they being taken care of? If the finances are in place and they don't have financial worries, it makes it easier for them to do their job wherever they are deployed." The FLFCU has a number of programs available on Fort Bliss to provide that financial education. The Balance Financial Fitness Program, for instance, is a free program that offers confidential financial counseling and education to service members and their Families. Additionally, more than 50 financial education classes were conducted at the FLFCU branches on and off post, for all credit union members, and provided education to over 700 Soldiers and Family members. An additional education program through FLFCU includes Fort Bliss partner Balfour Beatty Communities. That program involves monthly seminars with topics that include, among other things, reading and correcting one's credit report and home-buying tips. Artie Arteaga, president of the Defense Credit Union Council, said financially-educated Soldiers are more likely to be mission-ready than those who aren't. "A financially-prepared Soldier is able to stay focused on their mission," he said. But Arteaga also said that financially-savvy Soldiers make better customers. "We are mandated by the DOD to provide financial education at no cost," he said. "But even if that mandate were not there, we would be doing that, because we believe it's part of our mission to assist in that mission. 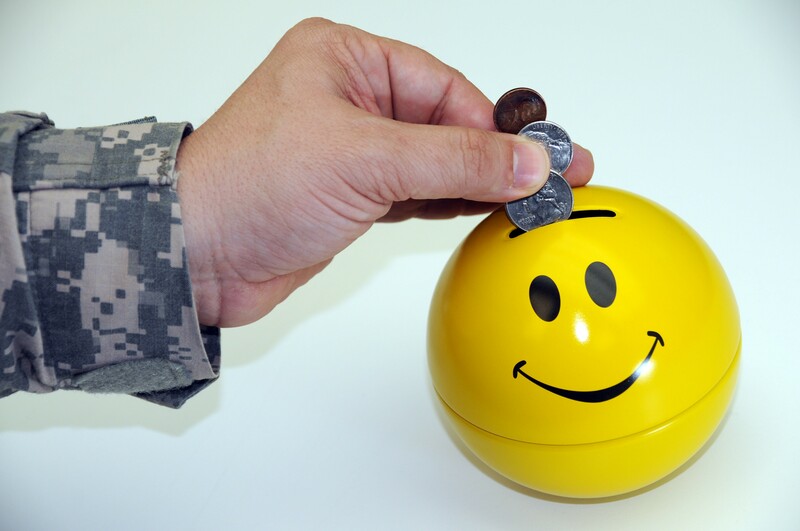 A financially-educated and consumer-savvy Soldier will be able to make their payments on a timely basis and when they do that, delinquency rates are down, and when delinquency rates are down, that provides the credit union more money to make available to their owners in terms of loans. It also builds up good credit for these troops."